Of the income earned in the first half-year of 2017, Antibiotice returned to the public health system clawback taxes worth of 14.8 million RON. Also, the sales revenues for the first semester 2017 registered a 7% increase compared to the value of the planned Income and Expenditure Budget reaching 147.2 million RON, 2% higher than the value recorded in the same period of 2016 (143.8 million RON). Antibiotice invested in the first semester 2017 the amount of 170 ths RON for social awareness projects realtive to healthcare, education, emvironment and social life. 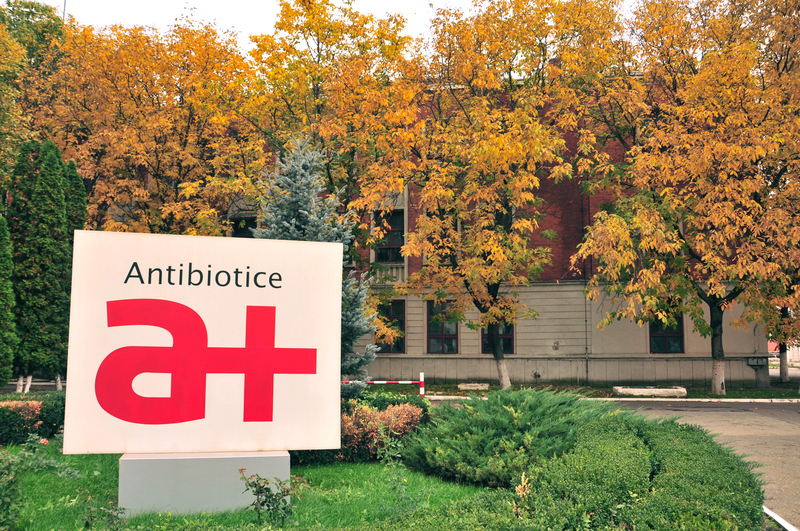 After the first six months of the year, Antibiotice reports sales of pharmacies (closed and open circuit) of 154.6 million RON, up 5.6% compared to the similar interval of 2016, while the pace of the pharmaceutical market in Romania is only 2.7% (source: Cegedim Romania). The retail pharmacy segment is growing by 6.5% compared to the first semester of 2016, reaching 116.3 million RON, amid a 1.5% increase in the total retail market in Romania. The hospital segment (closed-circuit pharmacies) recorded an increase of 2.9%, from 37.2 million RON on 1st half-year of 2016 to 38.3 million RON on the 1st half-year 2017. According to Cegedim, in the first half of this year Antibiotice ranks no. 4 among manufacturers of generic prescription drugs and non-prescription medicines in Romania, with a growing market share from 2.31% to 2.38% in the period under review. Antibiotice has increased sales of OTC drugs and recorded a 31.4% increase over the January-June 2017 period, above the market growth rate (21.5%), reaching a share in turnover of 18.5% (14.8% in the first half of 2016). With the current portfolio, Antibiotice is ranked the 14th among the top OTC companies in Romania (out of 213 companies), Top products in 2017 being food supplements Fluxiv®, Silithor®, Equilibra®, Soriso®, Cutaden® Bebe as well as OTCs Rompirin®E, Saliform® Forte, Clafen® gel 5% and Cicatrol®. Sprinten@ /tablets – a dietary supplement that maintains the health of the bone system, reduces rigidity and joint fatigue, improving movement. Revenues from external market sales in the first half of 2017 were 67.6 million RON, up 25% over the first half of 2016 when we reported 54.14 million RON. These results were obtained by capitalizing on external markets both the finished products recorded and the active substance Nystatin. The main destinations for Antibiotice exports were: southeast Asia (Vietnam, China), North America (Canada, USA, Mexico) and Europe (Holland, Denmark, Serbia, Bosnia). Sales to the above mentioned areas make up 75% of total sales on first semester 2017. In Southeast Asia, the main market that generates and will continue to generate increases in the coming years is Vietnam. By opening an Antibiotice area office in Vietnam, which became operational earlier this year, sales of finished products in the first 6 months of 2017 tripled over the same period last year, mainly through the contribution of anti-infective products. Also, sales of Nystatin registered an increase of around 21% on this market. Moreover, Nystatin exports doubled in value in North America, compared with the first half of 2016. 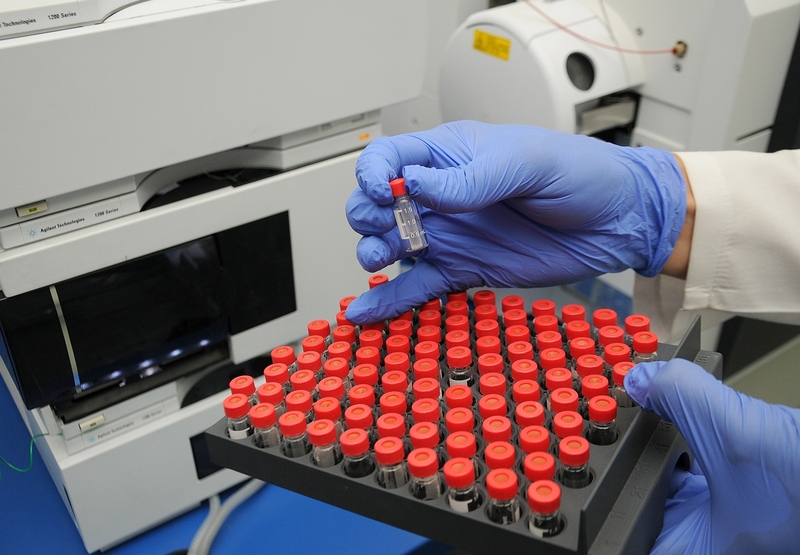 On the European market, Antibiotice reports a boost in sales of finished injectable products by about 57%. At the same time, the evolution of sales is facilitated by opening an area office in Serbia, a market where 12 Antibiotice brand products were registered, mostly cardiovascular products. Exports to Russia & CIS went up by 70% mainly due to higher exports of cardiovascular products (Bisotens 5 mg, Bisotens 10 mg) and suppositories (Glycerin suppositories for children and adults). Antibiotice is currently considering the opportunity to open a representative office in Ukraine, given the potential of this market and consumption habits which relate to Antibiotice’s portfolio. For further information, you can refer to the Administrators’ Report.